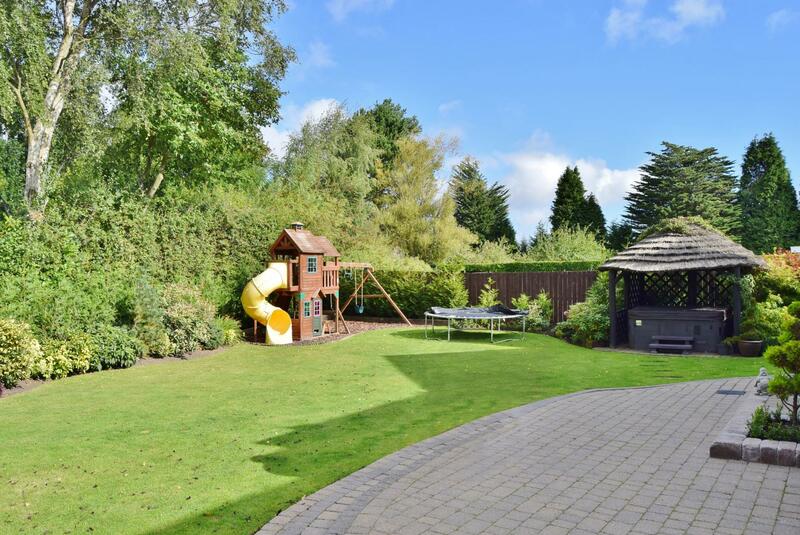 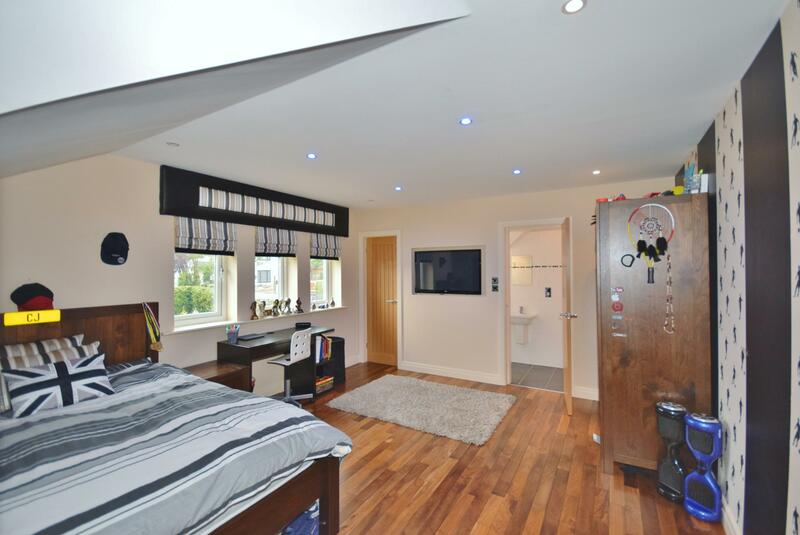 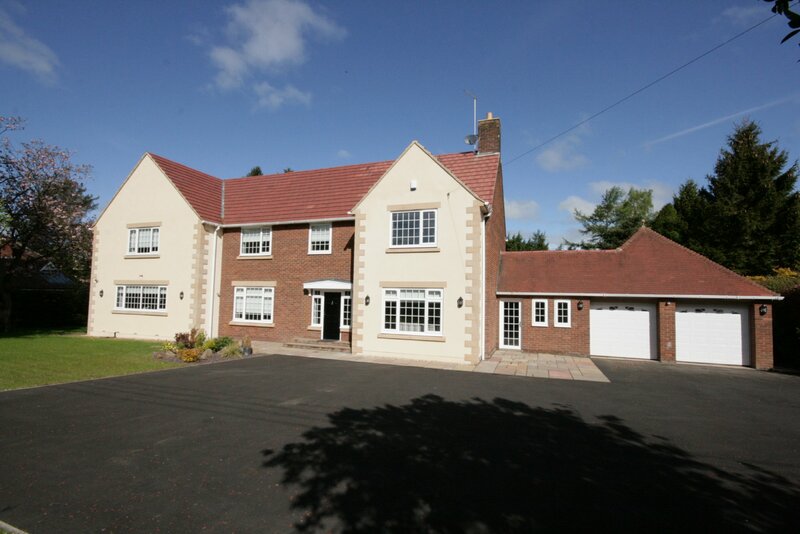 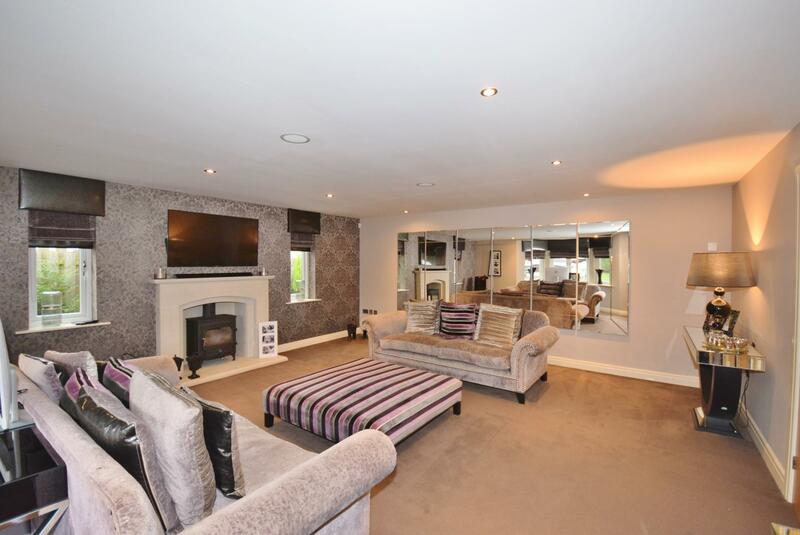 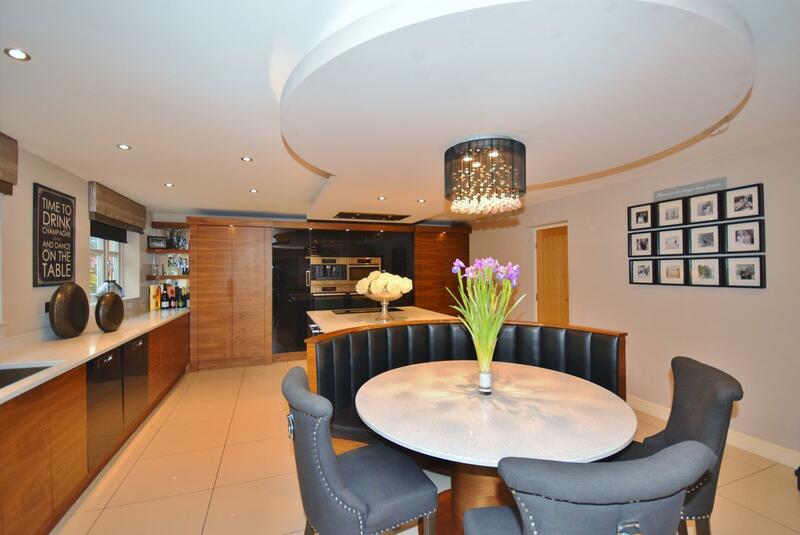 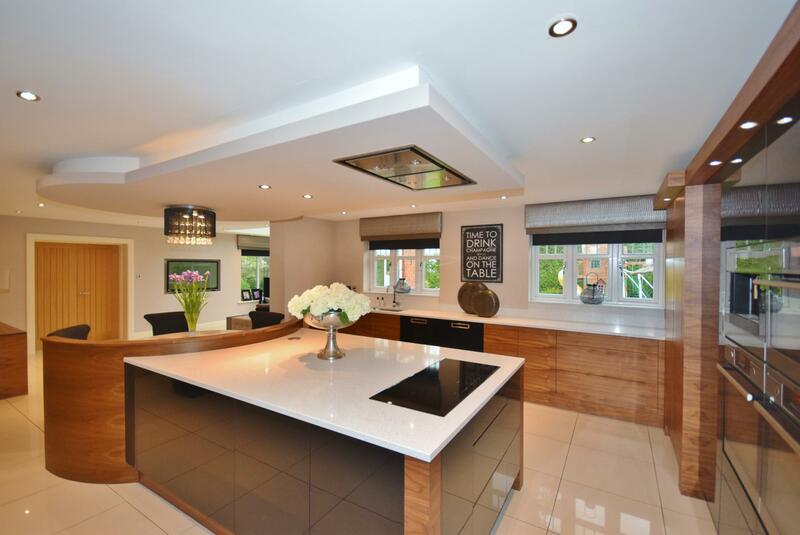 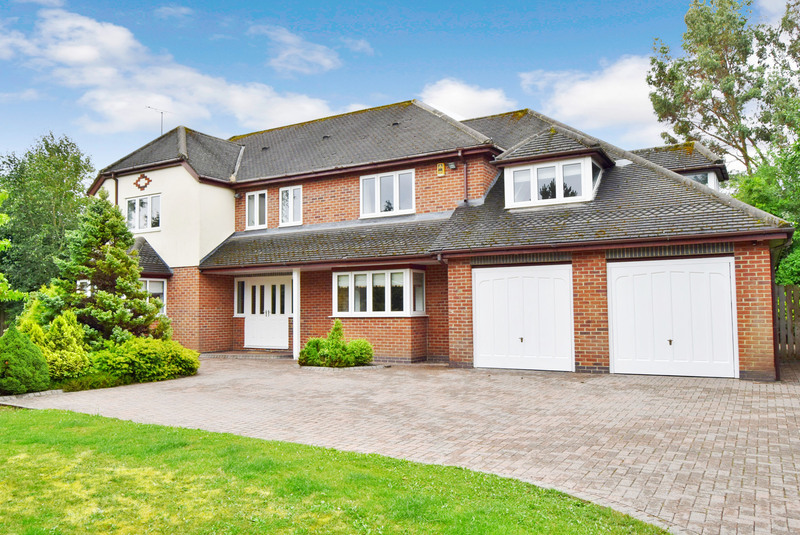 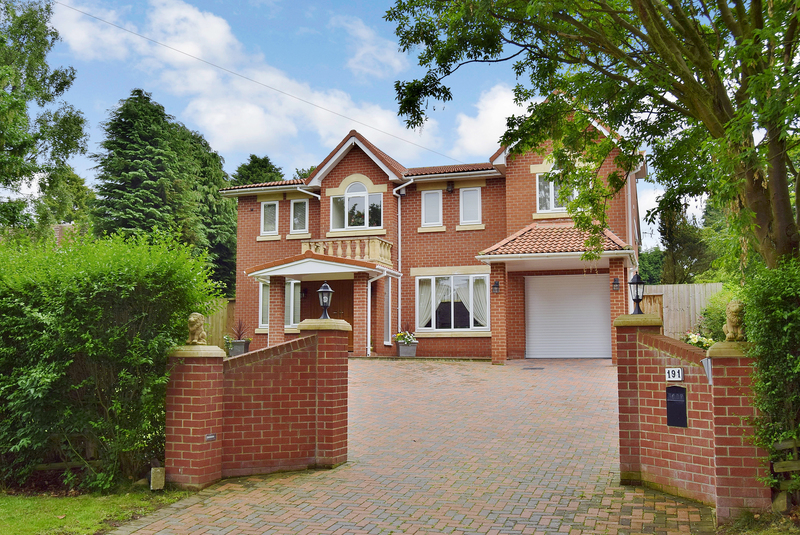 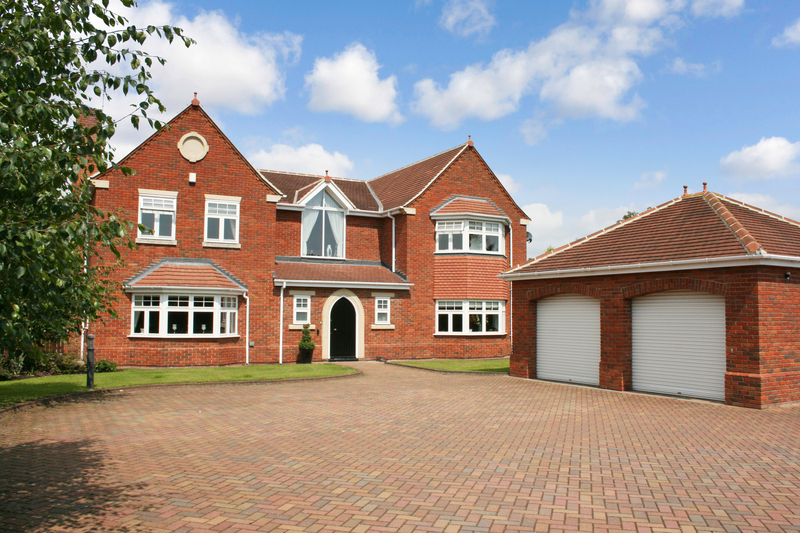 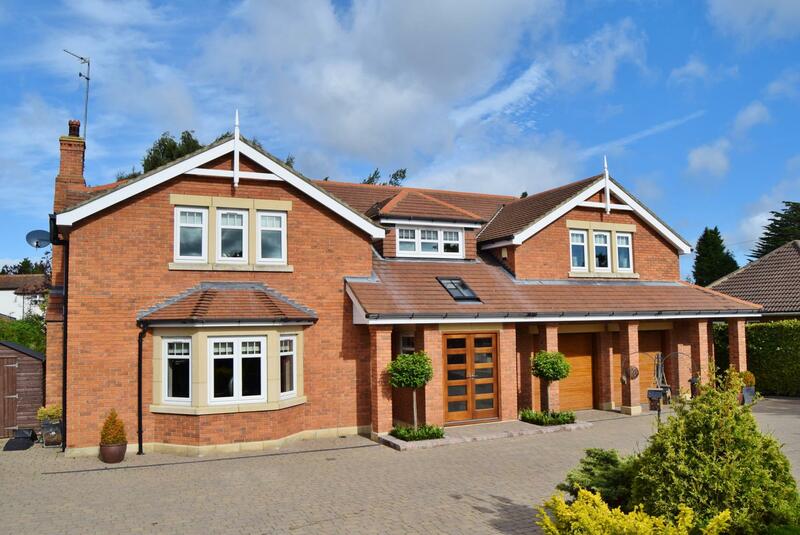 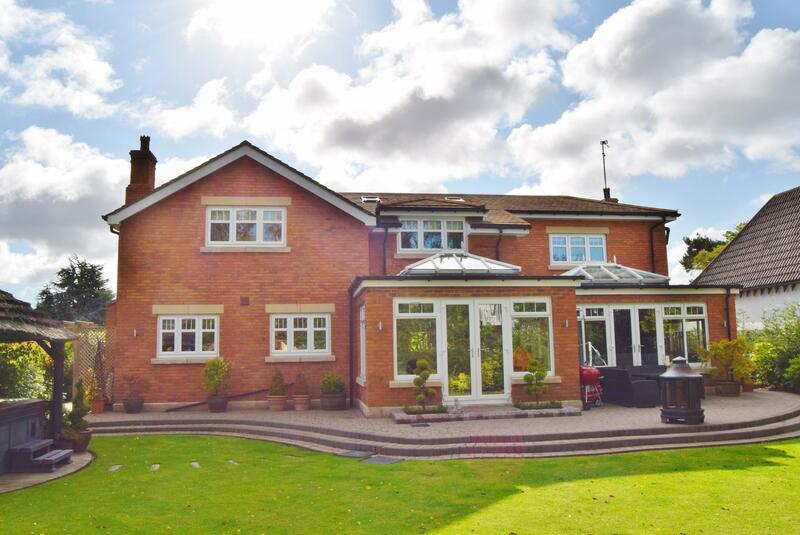 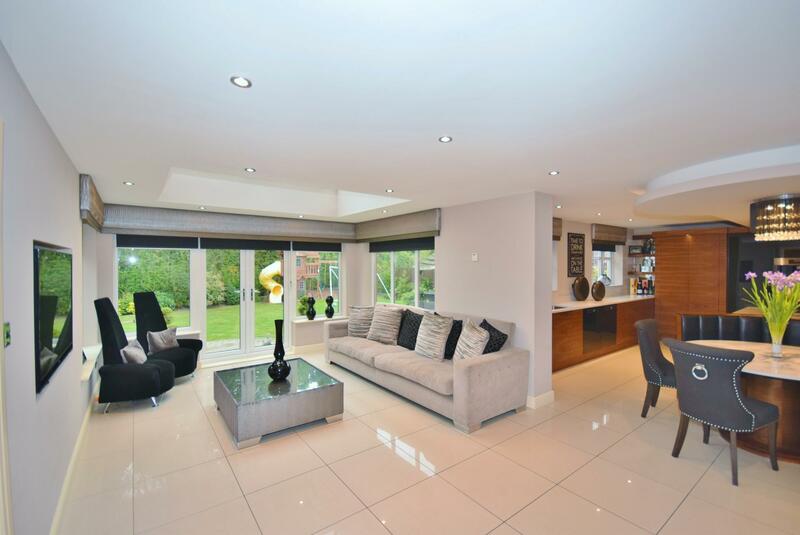 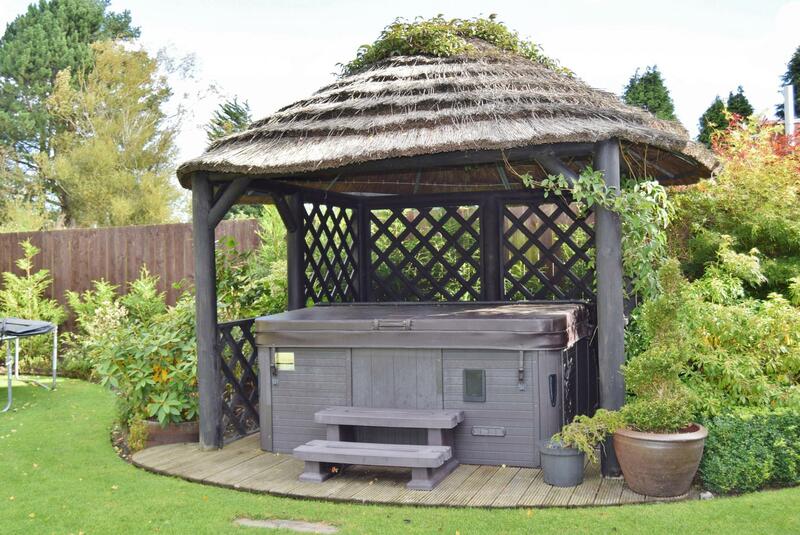 An impressive and individually-designed, five-bedroom detached property benefiting from modern and well-balanced living accommodation, appointed to a high standard, along with ample parking facilities and mature gardens. 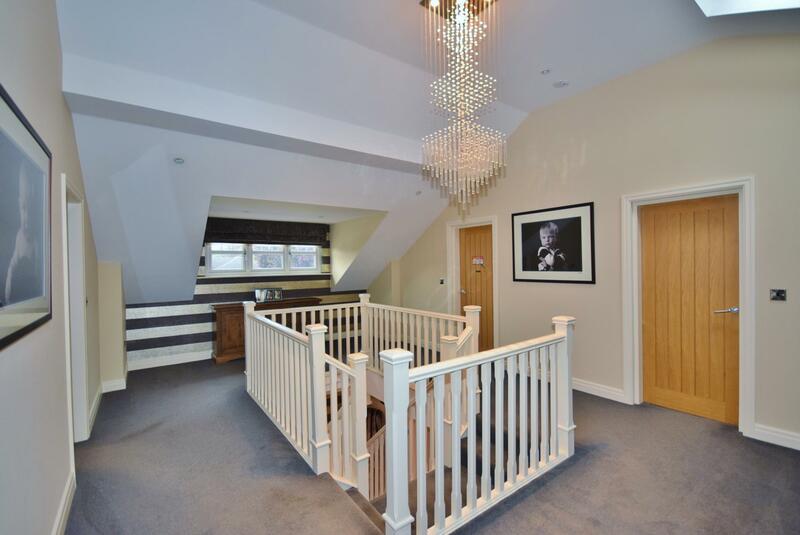 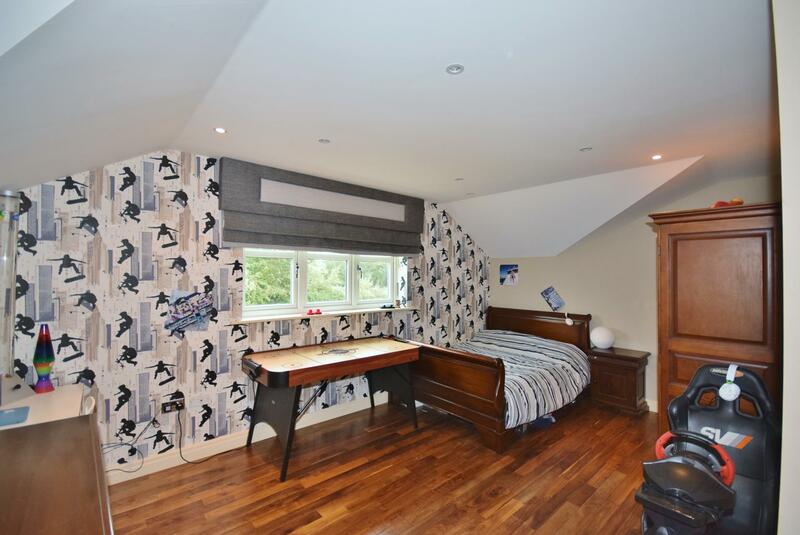 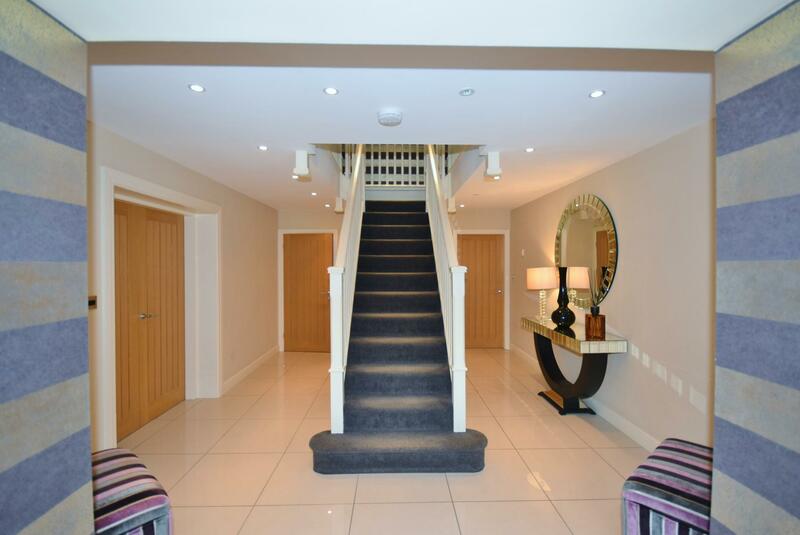 The property is entered via an impressive hallway with gull-wing staircase. 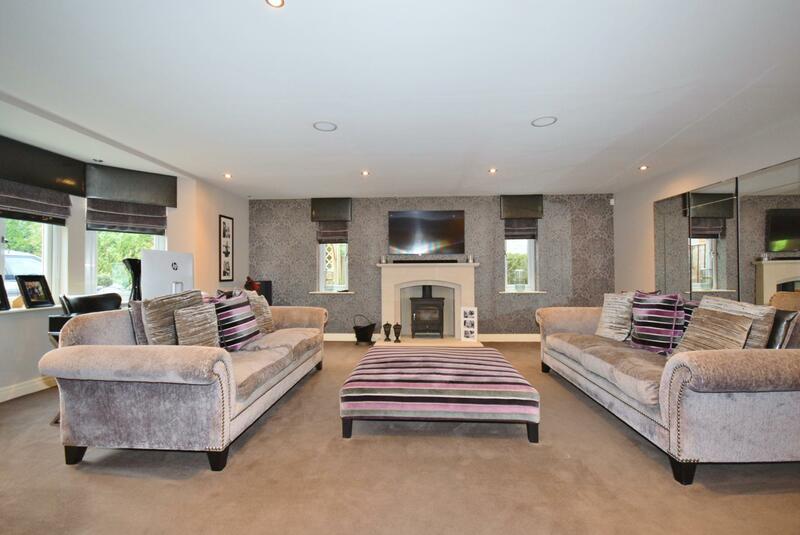 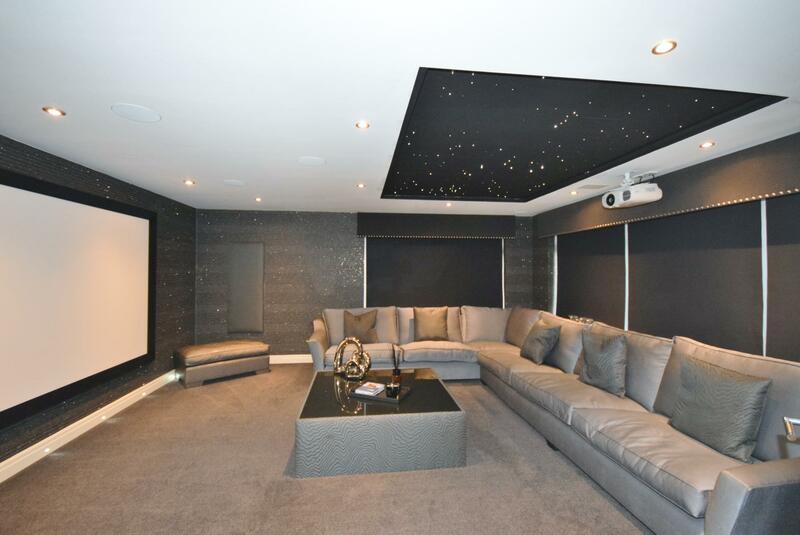 A large formal sitting room with feature fireplace along with a recently- refurbished cinema room contribute to the generous arrangement. 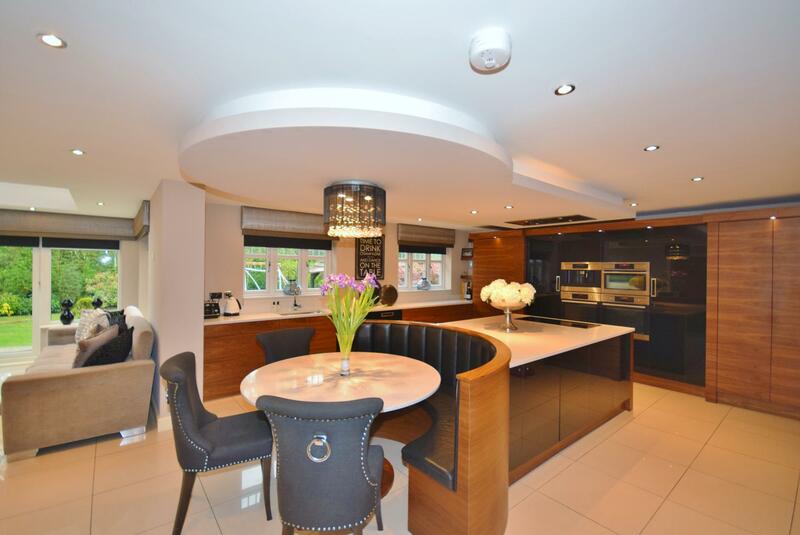 The focal point of the property is the fully-fitted, contemporary family kitchen, with island unit and semi-circular breakfast seating, plus a further living area. 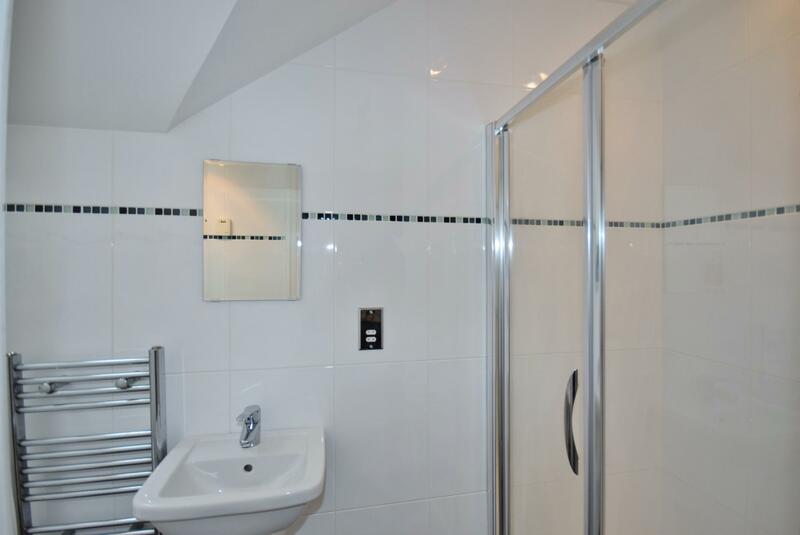 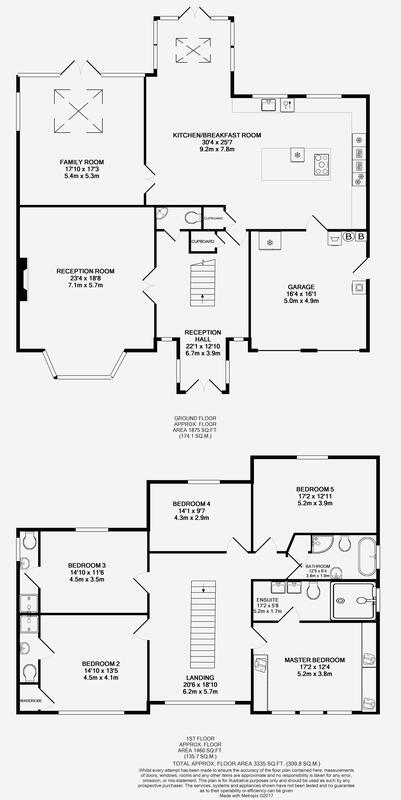 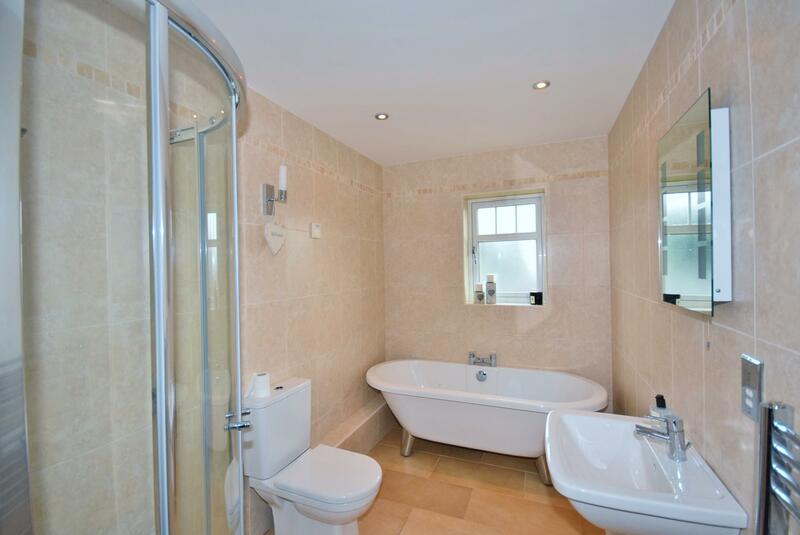 To the first floor there are five bedrooms with three en-suites. 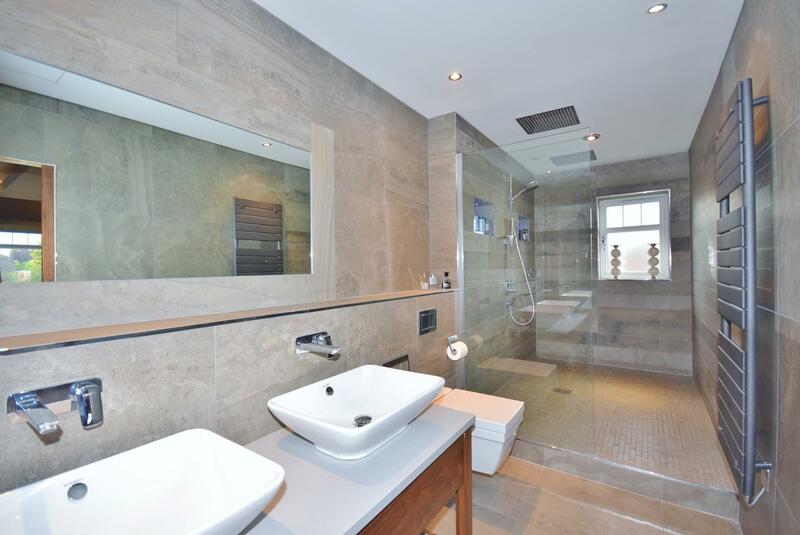 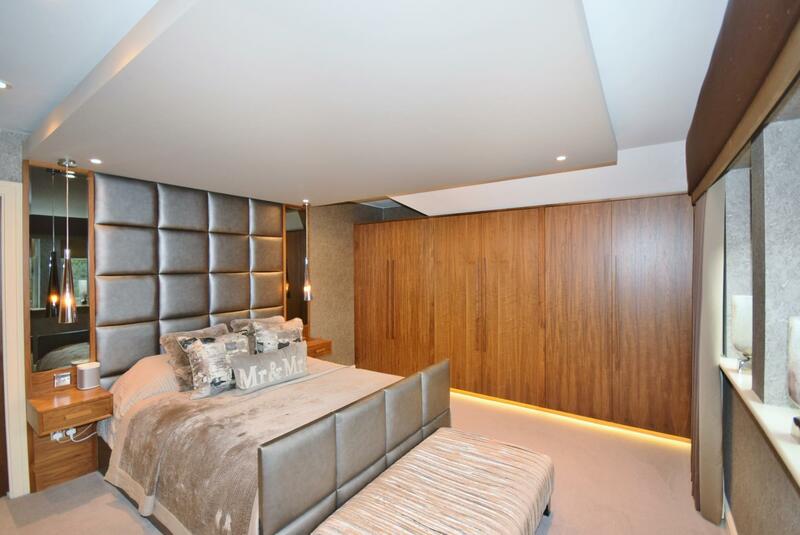 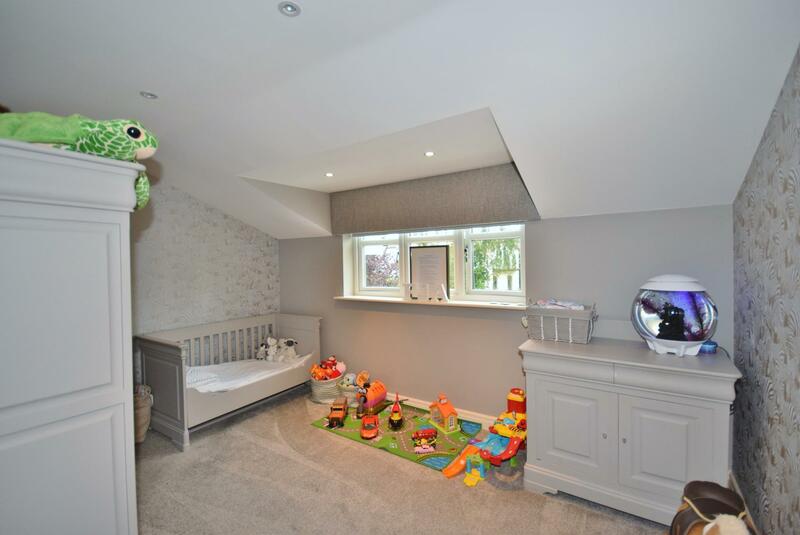 The luxurious master suite has been exquisitely designed to provide a stunning bedroom with bespoke wardrobes designed by Paul Leighton and an en-suite benefiting from his and her shower and Hans Grohe fittings. 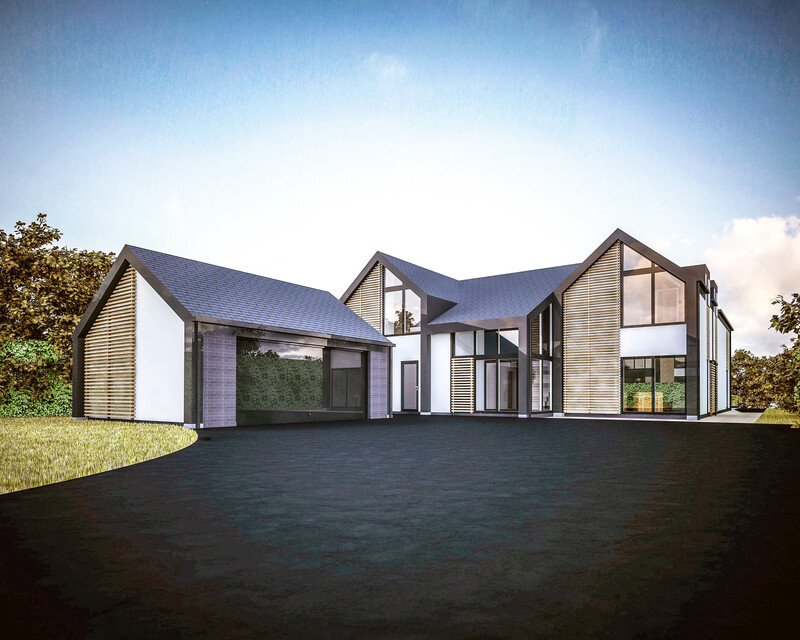 The property is approached via electric wooden gates over block-paved driveway, with parking for several cars, leading to the front door and double garage. 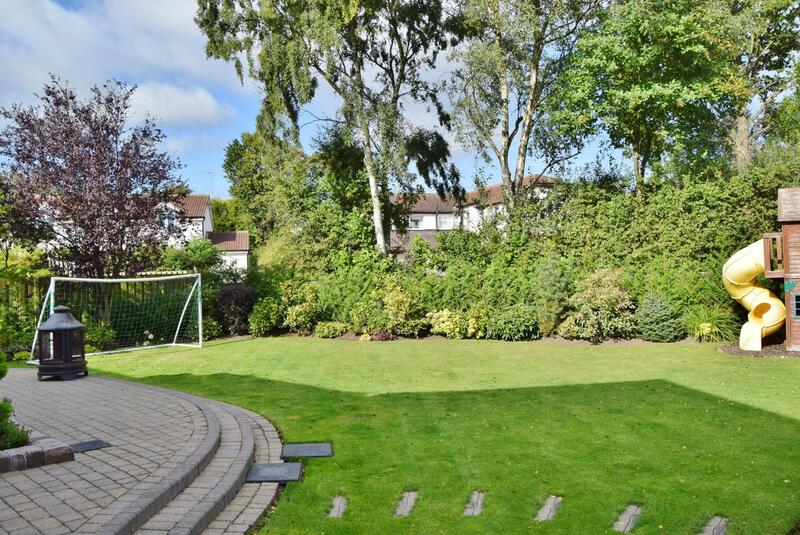 The impeccably-presented gardens are mainly laid to lawn with mature shrubs and hedges to boundaries. 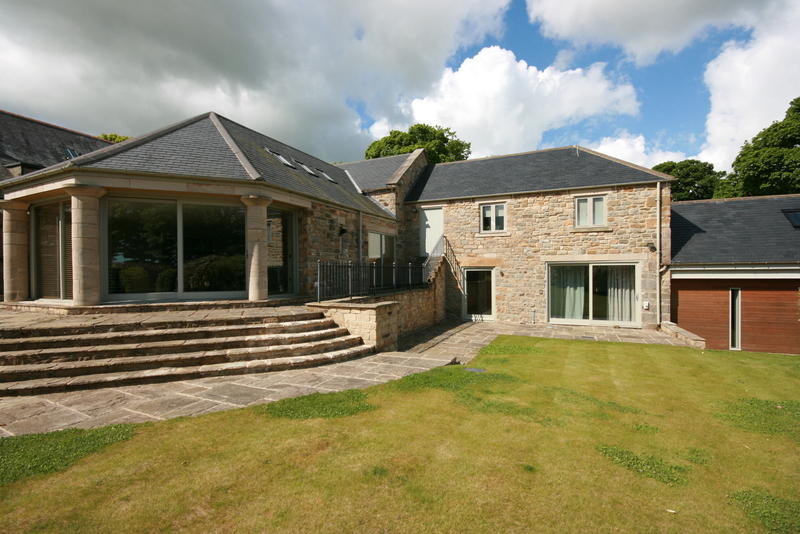 To the rear of the property there is a large patio area adjoining to the property.